Plant and tree ideas from older neighborhoods will show you the matured size. 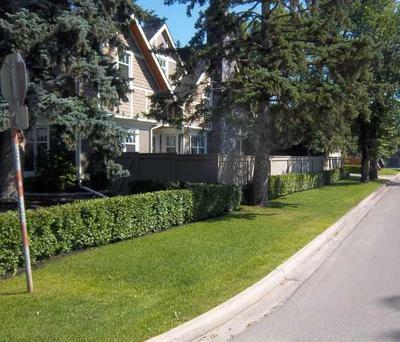 Low hedges are a good way to prevent people from cutting across your lawn. Making use of a corner lot with a house set back from the corner. Note how the stone wall flows with the sidewalk corner. Planting for privacy along the side yard. 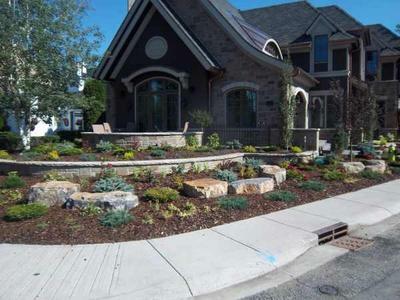 Corner lot landscaping design is a little different than a normal street lot, as your property now includes an additional 90 degrees of vision. Corner lots also have other challenges, which is why we decided to add this to our tips page. The view of everything you design should be considered from each angle around the property as you would walk or drive it. This can make some of the basic design principles a little more challenging to achieve. Designing your own yard without the aid of an experienced designer. A good designer will work with your ideas, while making sure the basic fundamentals are achieved. As a do-it-yourselfer, this is up to you to do. It may be helpful to work with your partner, husband or wife, as a team to split this task. One of you should have an understanding of the principles of design, so someone can play more of the devil's advocate role of “what if”. 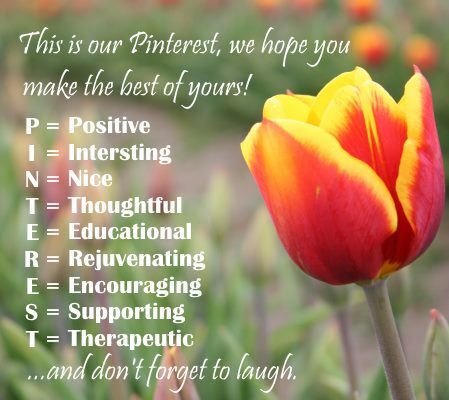 The two most important words to remember are functional and practical. A good design can have balance, line, proportion, rhythm, line, unity, color, texture, light, style, taste etc., but still not be practical or functional. The front of your home is considered the “Public” area of your property. A bad design can affect your ability to sell a property quickly, and for the most profit. Good front yard landscaping has to have what we call “curb appeal”. A drive around other neighborhoods is a great way to get ideas for your yard. I suggest the newer neighborhoods for what's trendy or popular for products or materials. The older areas often have the best examples of trees and shrubs at their fully matured size. We don't want to get too far into designing as we have articles on our site that focus more on this aspect. One more thought about designing on a corner lot is making things flow with the street. The stone wall in one of the above pictures is a perfect example. The way the street and sidewalk are constructed can also impact the way your design will flow. Is it squared off or rounded? Having a feature with a rounded design on a squared off corner can sometimes look awkward. The closer your feature is to the corner, the more you will notice this. Corner lot on a slope. If you are lucky enough to have one of these; stone walls or hillside rock gardens are great ways to add corner lot curb appeal. The big problem with corner lot landscaping. If you are thinking of buying a corner lot, or have just purchased one, here is another thing to think about. “The shortest distance between two points is a straight line”. This question comes up frequently, and is the main reason we wrote this piece. How do I get people to stop cutting across my property? We all know this one as we have probably done this ourselves before. When enough traffic has cut across your lawn, it creates a visible path or trail. So the best way to deal with this is to make the short cut a long cut, by removing the straight line. Just remember that no matter what you do to prevent people from cutting across your property, someone will always be up for the challenge you give them (fence, shrub, garden, etc..). Think about how high and long a person can jump. with this problem. Just remember that whatever you design, you also have to think about what is required to maintain it. 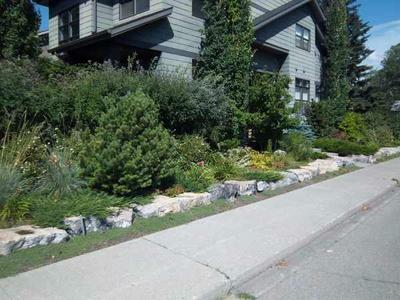 A mixed garden bed with wide growing evergreen shrubs is one of the best deterrents that still looks appealing. The emphasis is on the width. If you are trying to block off the corner, the width is important. A thin strip of flowers, shrubs or a low fence is not going to be the most effective to do this. A full and thick garden bed may take a few years for plants to fill in, so you may want to put up a roped off area in the meantime. Make sure you are aware of the fully matured size of anything you are planting so you have no gaps people can walk through. Avoid things that will attract people. Unfriendly bushes (thorny) are another option unless you have young children around. A boulder or rock garden that appears difficult to walk on could work as well. You can also avoid things that will attract people, and pets to this part of your property. Apple or other fruit trees should be placed somewhere else in your yard. I have noticed more and more people with edible front gardens, but I would think about this one carefully. 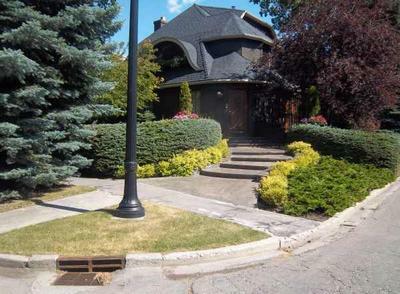 A driveway with an entrance off each street may work great for you, but it can also become a sidewalk for others. Keep it safe, and friendly. I have heard some other ideas like automatic sensor sprinklers, but remember when you get into (dirty) tricks, you may actually be provoking further problems. You could end up inviting vandalism or even violence to your home and family. Is it really worth it? I can't say I think this is the best idea, but keep it simple and nice. If it doesn't say “Please” or “Thank you”, don't expect great results. Nasty signs are another sure way to invite vandals. This may not be an option for everyone. City by-laws and covenants may not allow you to put up a fence. Check with your city or town before you even consider this as an option. Combining a low fence with shrubs is a good safe option. The fence is a visible barrier, and the shrubs give it width. Combining planting with a large fence can give more privacy and soften the look of the fence. Keep in mind that fences can collect trash when the wind blows it around the neighborhood. They may also be an opportunity for artistic kids to spray paint their work. These are sad realities, that do happen. One last thought with corner landscaping has to be about safety. Whatever you build or plant, also has the possibility of obstructing views. A high fence should only extend so far to the corner for safety reasons. Stepping the fence down is another option so motorists can still see over it. If you have a 2 or 4 way stop at the intersection, don't block stop signs with growth from trees. Even the shadows can make signs difficult to see. This may be the driver's responsibility, but the safety of you and all the kids around the area are at stake. How many of you have nearly missed a stop sign because it was partially obstructed? So these were just a few thought and tips for corner lot landscaping that we hope will help you with your dream yard. Feel free to add any of your own thoughts or ideas to help others.